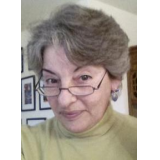 Delin Colon is a writer and researcher residing in the Pacific Northwest U.S. This book is an account of Rasputin as a healer, equal rights activist and man of God, and why he was so vilified by the aristocracy that their libelous and slanderous rumors became accepted as history. For nearly a century, Grigory Rasputin, spiritual advisor to Russia's last Tsar and Tsarina, has been unjustly maligned simply because history is written by the politically powerful and not by the common man. A wealth of evidence shows that Rasputin was discredited by a fanatically anti-Semitic Russian society, for advocating equal rights for the severely oppressed Jewish population, as well as for promoting peace in a pro-war era. Testimony by his friends and enemies, from all social strata, provides a picture of a spiritual man who hated bigotry, inequity and violence. The author is the great-great niece of Aron Simanovitch, Rasputin's Jewish secretary. 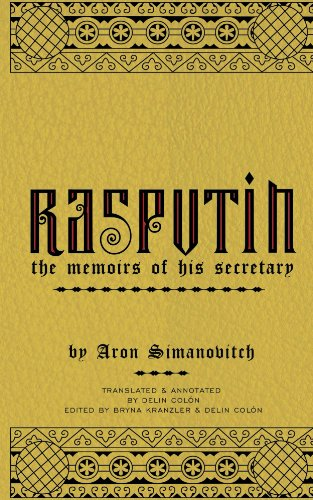 I had always known that my great-great uncle was secretary to Rasputin, but when I finally read his memoirs, I learned that Rasputin was not a demon but a humanitarian who was persecuted for his liberal and egalitarian beliefs, especially his support of equal rights for the oppressed Jews. With several years of further research, I was able to substantiate this assertion, leading to the publication of this book. "Mrs. Colón's dissertation is a brief but well-written exposition on a historical figure who was both maligned and misunderstood when it comes to written Jewish and Russian history." 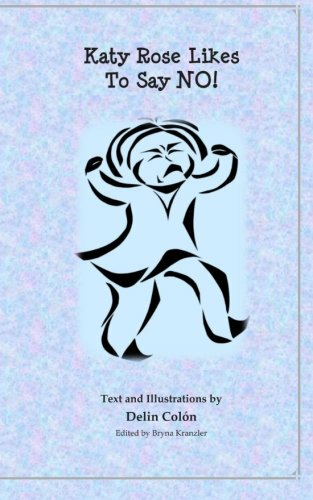 -- New York Journal of Books --Charles Weinblatt, reviewer and author of "Jacob's Courage".